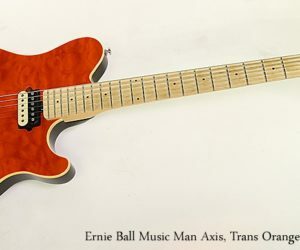 The Ernie Ball Music Man Axis promises and delivers straight ahead rock performance, suited for both high octane playing and lower energy levels. 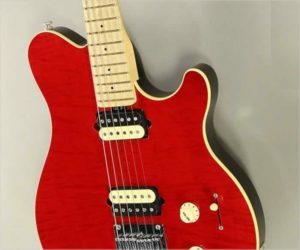 It uses the familiar and reliable recipe of a figured maple top on basswood, with a hard maple neck and locking trem system. 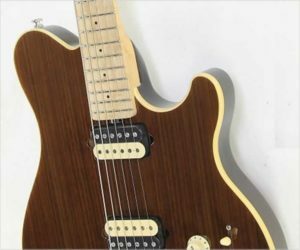 The controls couldn’t be much simpler for a two-humbucker guitar – one volume control and a pickup selector.